Abacus, a drop in the Wall Street bucket. In less than a decade, nearly two dozen films have been made that deal specifically with the 2008 global financial crisis, varying from features like Margin Call and The Big Short to documentaries as diverse as The Queen of Versailles, Inside Job and Capitalism: A Love Story. Meanwhile, films that deal tangentially with the economic meltdown are too numerous to tally. There are only so many ways to eat the rich onscreen, but just when it seems like every angle has been exhausted, Steve James (Hoop Dreams; Life Itself) enters the fray with Abacus: Small Enough to Jail, exploring a strange subplot of the crisis. 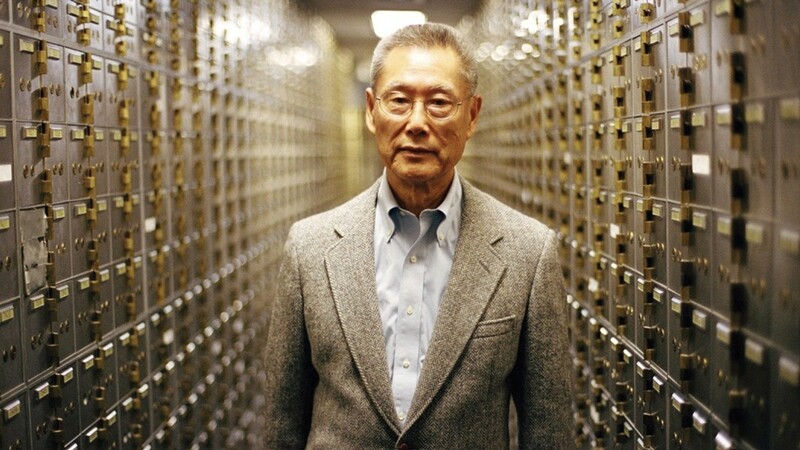 Founded by Thomas Sung in 1984, Abacus Federal Savings Bank largely served the Chinese immigrant community, the sort of cash economy workers that the other banks refused to fund. The bank survived a run earlier in the decade, but in 2009 the actions of a shady Abacus mortgage loan officer eventually led to indictments against Sung and other officers, including two of his daughters. That began a five-year legal ordeal, with 67 trial days and weeks of jury deliberations, and to this day Abacus remains the only United States bank indicted for mortgage fraud in relation to the 2008 global economic meltdown. Abacus feels like a good fit for James, who favors intimate portraits of neglected communities and discarded people, to get into the apparently lucrative financial crisis documentary game. Beyond the larger economic implications of the story, this is about a family under siege, with implications of racially biased prosecution and opportunities to explore a community vulnerable to abuse. Unfortunately, while professionally mounted, Abacus: Small Enough to Jail proves a functional, impersonal, and incredibly basic catalog of events. There’s little here that you couldn’t get from a well-worded Wikipedia page. At one point, Thomas expresses frustration with the lack of emotion shown by their defense lawyer during trial, and I felt a similar sentiment regarding Abacus. Other than a handful of scenes of the Sung family shouting over each other, most notably one where the Sung sisters bicker while their father stoically eats a chicken sandwich, we’re left with a straightforward recitation of cherry-picked facts, including extensive reenactments and sketches from the trial. Abacus is formally stiff, relying on talking-head interviews (one man speaks only through his lawyer) and oversimplified, glazed-eye graphics. And if you’re looking for suspense, it’s not a mystery where James’ sympathies lie — the Sung family is part of the film’s public relations push, and the picture is noticeably warped to make this wealthy family of lawyers and bankers look like pugnacious, little-guy heroes. In the opening scene, they even watch It’s a Wonderful Life together while comparing themselves to the Bailey family. The soundtrack swells with their every triumph, and their interviews are conducted in brightly lit rooms while the overzealous New York District Attorney who brought charges against them gets framed like a horror movie monster. Of course, it is completely nuts that the 2,651st largest bank in the United States became the only institution indicted for mortgage fraud, and the prosecution process appears rife with ethical errors — defendants were paraded before reporters in a chain gang, the habitual liar at the center of the scandal became the prosecution’s star witness, the prosecutors slandered the defendants even after exoneration and so on. The “bad loans” that Abacus made had a lower-than-average default rate, so no one lost money on the transactions, and yet the case was pursued with unusual aggression. There were undoubtedly abuses in the Abacus loan department, with a chummy system of loaning money to people without credit scores or collateral that smelled suspicious to outsiders, but it was all a drop in the bucket compared to the Wall Street-induced tsunami that wiped out our economy. The contextual glimpses into a culture hidden from the mainstream are enticing, especially the scenes linking economic alienation with racial oppression, but they’re just glimpses, and as a viewer it’s hard to escape the sensation of being dutifully led around by the nose by Abacus.